Our 3 year old son was diagnosed with Autism. 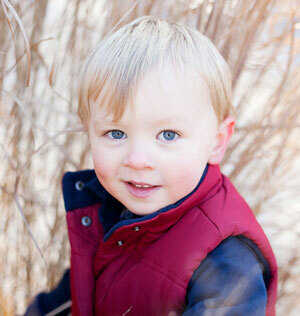 Evan had very few words and developmental delays of approx 18 months. We tried Early intervention Speech, OT and Developmental Therapy. With chiropractic and Dr. Tony we have seen radical improvements over the past 9 months. After the first visit we saw changes. In the first 2 weeks he was imitating and playing with his brother and sister. It was like he had emerged from his own little world. We are still seeing healing and leaps and bounds of improvement after 9 months. I have watched my child blossom and explode in a way that the “specialists” who diagnosed him told me would never happen. His development is a process I am engaged in daily from adjustments, sleep, play and diet. It all plays a part in my son’s puzzle and the Doctors at PWC Chiropractic have given me the information and power to make the changes that Evan needed. I trust Dr. Tony and chiropractic without a doubt! My entire family is under his chiropractic care. It is safe and vital! If you have a child with Autism, don’t wait, educate yourself about the reason your child’s development stopped! We were super lucky to be at the right place with the right people around us when we did to discover the chiropractor. It is his belief (and ours) that during the pregnancy and at birth (c-section- had to pull him out by his head), Evan’s spinal cord got jammed up and subluxated. And after birth, we never got him fixed because he looked good…happy/healthy, and, we had no idea that it could happen. So he grew physically, but not mentally. We chalked it up at first to slow development, like our first son, and started OT, PT, ST and any other therapy we could find – but none of it seemed to make a ton of difference. All of the state programs stop at 3 years, but there is an eval that can be done before he hits 3 to give the parents some guidelines on what to do next….so we did that, and that’s when they told us he was autistic. We went to the chiropractor the same day. He explained his theory, and actually told us that we would “beat” it. Crazy! So, the first couple weeks, he was a prophet…he would say “after this adjustment, he is going to be wiped out, don’t wake him up if he falls asleep in the car- it was 3pm – sure enough he fell asleep in the car and slept until 7:30 the next morning. He would say – after this one, watch his diaper – 3 hours later – explosion! It was nuts! He went from NEVER saying mommy or daddy, and maybe having 5 words that only we could understand to having 20 the first week and 100 by the first few months. After the third month he could repeat clearly anything you said. Those first 3 months he was there about 3x per week, then 2x per week for a month, now we are at about 1x per week. The thing that seems to be different about this chiropractor is how he is adjusting. He only does one area at a time, and keeps to that area until it is fixed. He also does a very cool temperature scan down the spine to figure out where you are out of alignment and to what degree so he can figure out how best to treat. Our chiropractor is a specialist in kids with a focus on autism, and he says that most will get a huge bump from chiropractor, especially in the beginning, but Evan is still improving where a lot of kids have plateaued long ago, and he thinks that is because in addition to the chiropractor we have totally cut out all dairy/flour/grains and sugar of his diet. He only eats fruit, meat and veggies. That’s it. After he started to get better, we went to the Dells and decided to give him a “treat” and let him have spaghetti and pizza. In 12 hours he went from happy, talkative, responsive kid to vacant, listless and lethargic kid…in the DELLS?! As soon as that food left his system, I kid you not – he was back to his old (new) improved self. SO….what to do with this? I will check with my chiropractor on a referral to a like-minded colleague where you are. Since I posted that, he has been supplying me with all sorts of referrals all across the country. I’d be more than happy helping out with anything I can, from diet to support, to whatever. My big suggestion is to document everything so you can look back at progress. I don’t know if it will help, but I think that our bodies have a knack of healing themselves without the crazy medications and pills if we get them in the right place to do it, and I think that the chiropractor is the place to do it. And, by the way, by eating the new way, my wife’s allergies have disappeared, and all of our kids had skin issues that are now gone as well.